1. Pumpkin pie smoothie by Hello Glow. It tastes like pumpkin pie, but it’s healthy and so much easier to make. 2. Thyme orange cranberry pumpkin seed artisan bread by The Culinary Tribute. We can’t imagine anything more comforting for fall than this protein-packed artisan bread. 3. Fresh pesto pasta by Grimgrains. This vegan pasta is topped with crunchy pumpkin seeds and the result is plain delicious. 4. Autumn spiced nuts by Culinary Ginger. Include pumpkin seeds in your mix of spiced nuts and enjoy their flavor. 5. 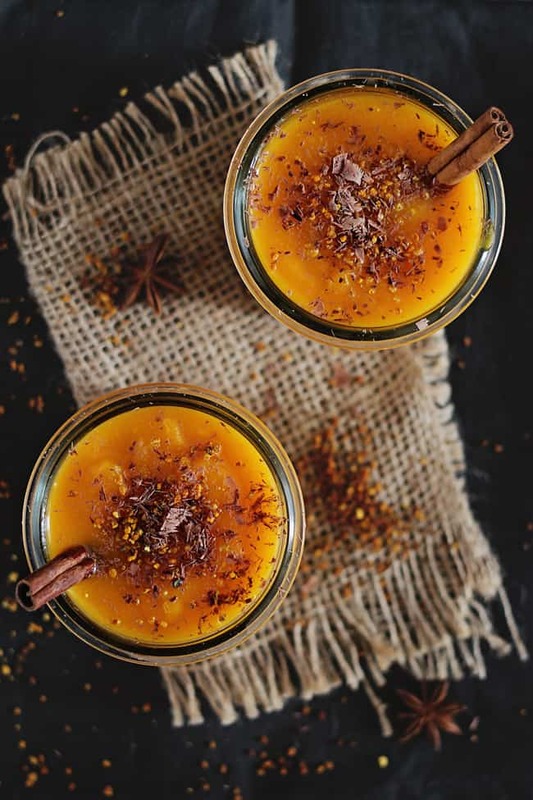 Chai tea infused pumpkin smoothie bowl by Midlife Croissant. All of your favorite fall flavors, plus antioxidants, protein and a caffeine boost. 6. Toasted pumpkin muesli by Minimalist Baker. Start the day at full strength with this nutritious muesli recipe. Pumpkin seed pate by Hello Glow. Did you know you could make pate out of pumpkin seeds? Needless to say, you’ll love the taste! 8. 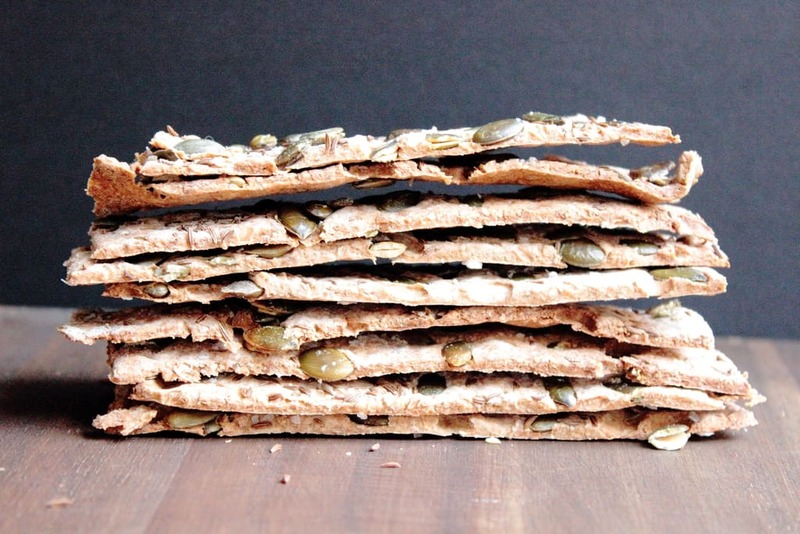 Rye, pumpkin seed caraway crisp breads by Figs & Pigs. Serve these with figs and Camembert for a gourmet snack that’s also healthy. 9. Mexican Caesar salad by Culinary Envy. Improve the taste and nutrients of your salad in an instant with pumpkin seeds on top. 10. Maple glazed pumpkin seed clusters by Queen of My Kitchen. A healthy and gluten-free dessert, which combines sweet and salty flavors to perfection. 11. Salted maple apple tarte tatin by Half Baked Harvest. Now this is an amazing dessert: apples, vanilla cream and pumpkin seeds make it so impressive. 12. Roasted butternut squash soup with goat cheese by Chef de Home. Top any cream soup with pumpkin seeds and you’ll enjoy even more flavor. 13. Five spice peanut & pumpkin muffins by Simply Stacie. Beat hunger and cravings with these filling peanut and pumpkin muffins, which also happen to be super easy to make. 14. 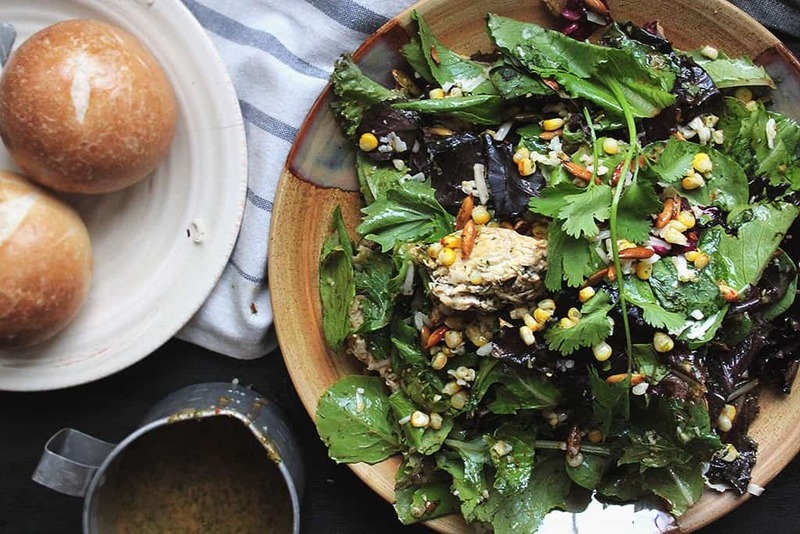 Cilantro chicken salad with homemade dressing by The Black Coffee Project. A refreshing, nourishing salad that’s made perfect with pumpkin seeds and cilantro dressing. 15. Pumpkin seed buttercups by So Much Love. Skip the peanut butter and make this classic dessert with a pumpkin seed twist. 16. Olive & pumpkin seed tapenade by Quite Good Food. Spread this tasty, salty tapenade on your favorite bread and feel like a French gal. 17. Pumpkin seed macaroons by Green Healthy Cooking. There’s plenty of protein in pumpkin seeds, so much that you don’t need gluten, dairy or refined sugar to make these macaroons amazing! 18. 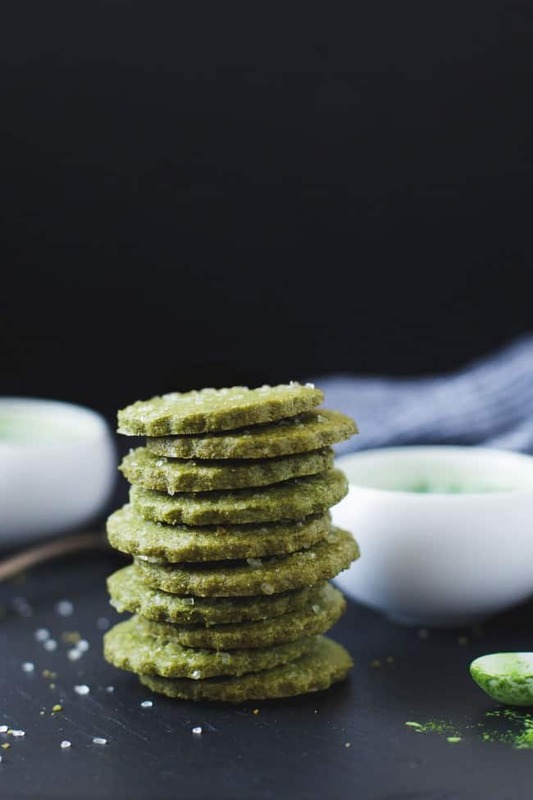 Gluten-free matcha shortbread cookies by Snixy Kitchen. If you love matcha, you’ll love these shortbread cookies, especially next to a cup of tea. 19. Roasted cauliflower with green curry by Hapa Nom. A vegan dish that acts like comfort food, topped with pumpkin seeds, of course. 20. Grilled peach and mizuna salad by The Gantzery. The perfect transitional weather dish features the last of summer with a touch of fall. 21. Superfood soda bread by Circa Happy. This is not just bread, it’s super-bread! Made with sprouted pumpkin seeds, raisins and goji berries. 22. Chilled cucumber soup by Ready, Chilling and Able. This chilled cucumber soup features fresh dill and pumpkin seed topping, and it’s a summer staple. 23. Roasted tomato & pepita pesto by The Whinery. Why didn’t we think of this? Easy pesto made with roasted tomatoes and pumpkin seeds. 24. Sweet potato salad by Orchard Street Kitchen. Sweet potatoes, cous cous, pumpkin seeds and tahini are a winner combo in this salad. 25. Vegan coffee cake by Namely Marly. An absolutely delicious coffee cake made with pumpkin seeds and cinnamon. Thanks so much for featuring my chai infused smoothie bowl. This is one of my favorite blogs! Quite an honor to be included here. Thanks again.